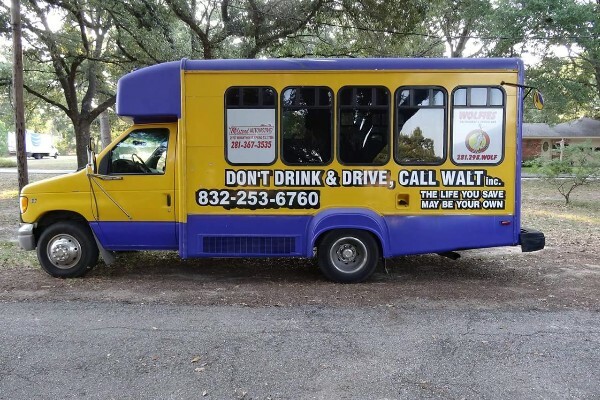 WALT inc. is dedicated to the elimination of Drunk Driving in your neighborhood, by providing safe and affordable round trip transportation, from the patrons home to the bars or restaurants and back home, without Drunk Driving or DUI consequences. If you live in the Walt inc. "Area of Operation", Leave your car in driveway and let the shuttle bus pick you up at home. The one time charge is for round trip transport to any, of the many bars or restaurants, that are also in the area of operation (see map below). To help keep the patron price affordable, WALT inc. needs the help of all restaurant and bar owners. Your advertisement will be placed as window skins on the outside of the shuttle bus or signs on the inside of the bus.Your advertisements will be seen by all in the neighborhood and all passengers within. Call (281) 664-1690 and arrange for a WALT inc. representative meet and discuss adve	rtising your business on our shuttle bus. 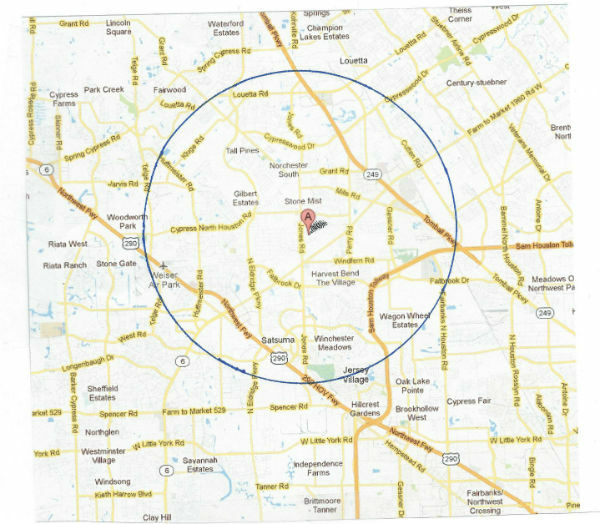 Don't Drink and Drive, Call WALT inc.
Singles for $15 and couples for $25 can ride from home to any restaurant or bar in the area of operation (see map shaded area). Ride all night and as many times as you want, as long as the last ride is back home. Children riding with parent are free. WALT inc. plans to expand the "Area of Operation" Soon. In Walt's words: Sad to say, this old work horse is on her last legs. God only knows how many NW Houston lives she has saved, from Drunk Drivers. With high legal fees, insurance costs and maintenance expenses, Walt Inc. has run out of financial resources, so an expensive repair or engine replacement is not possible. Fixing this one may be throwing good money after bad. What Walt Inc really needs is a new bus. A new 14 passenger shuttle bus would cost around $65,000 and then we would have to invest another $15,000 in paint, decals, sound equipment and lighting to make it a party bus. There are thousands of Woodlands and Cy-fair area riders with many good memories, of this old bus. In my words: In order to protect our communities from the dangers of drunk driving, Walt provides a safe and inexpensive alternative to drinking and driving. He offers a $15 "ride all night", often at a loss, to ensure the safety of his passengers and everyone else on the roads. In business since 2008, Walt has saved countless lives with his regular weekend runs, charters and the expanded hours he uses during special events, such as holidays, the Super Bowl and the Houston Livestock Show and Rodeo. In addition, he supports local charities such as the Star of Hope. Copyright 2019 Call WALT inc.
Website Design by GlobalSpex, Inc.